In the story, Oliver and his sister Janet are spending the summer with Cousin Jasper, who seems aloof and troubled for reasons the kids can't quite figure out. One day, in the midst of attempting to run away after a disagreement with Jasper, Oliver meets the Beeman, who begins telling him stories. As Oliver and Janet try to puzzle out what might be causing Jasper to be so standoffish and unhappy, they also begin to see that the Beeman's stories are not just tales of long ago and far away, but that they are perfectly relevant to all that is happening here and now. This is an odd book. The opening chapter is very engaging, but the story loses momentum every time the Beeman tells a story. Though the connections between the present-day action and the stories does eventually become clear, they are so tenuous at first that by the time the reader realizes it was actually important to pay attention to the stories, the opportunity to do so has passed. The chief problem of the story, which winds up focusing mainly on law and real estate documents, also is not really the kind of thing that engages kids' imaginations. The concerns of the story all seem very grown up, and when the great mystery of what is bothering Cousin Jasper is revealed, it is nothing nearly as exciting as kids are likely to have imagined for themselves. I can see from the writing in this book that Meigs has an engaging style and a knack for developing interesting characters, so I'm not done with her work just yet, but the plot was muddled, and in many places, just boring. The Sherwood Ring by Elizabeth Marie Pope (1958) is actually similar in a lot of ways to this book, but more engaging, and decidedly more straightforward and accessible. Meigs could write; I'm just not convinced yet that her books were really written for children. You might want to try Swift Rivers by Meigs. I read it aloud to my children several years ago, and we all enjoyed it. I was a Newborn Honor book in 1933, I believe. I agree that The Windy Hill is not her best. 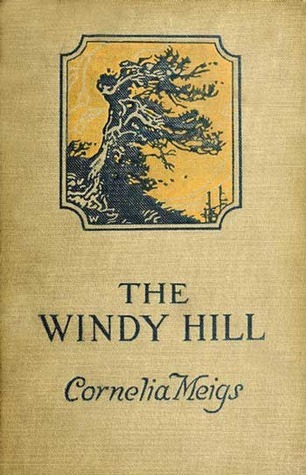 I read and enjoyed Windy Hill the first year I hosted the Newbery Through the Decades Challenge. I did enjoy it, though I remember a little of the feelings that you mention. I DO love Invincible Louisa by Meigs. It is what has convinced me always and forever to give her books a chance.